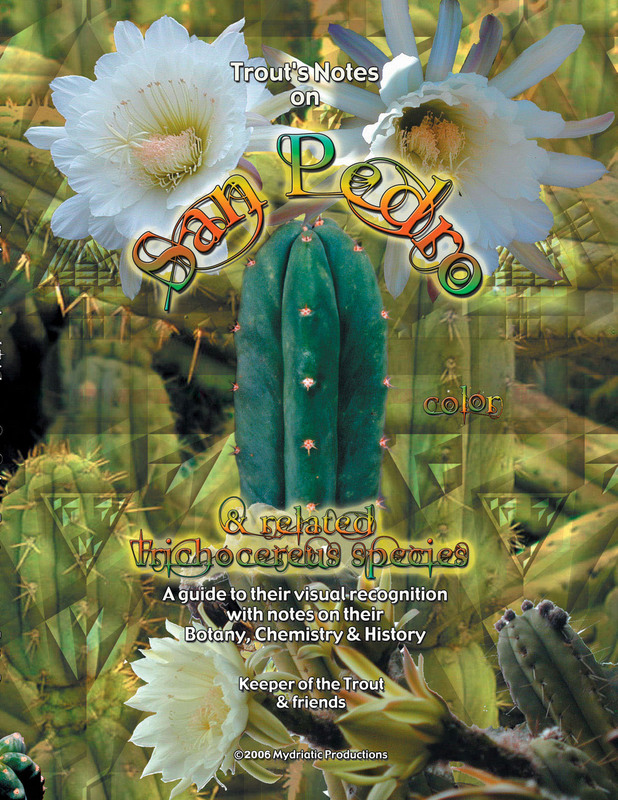 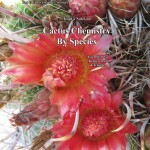 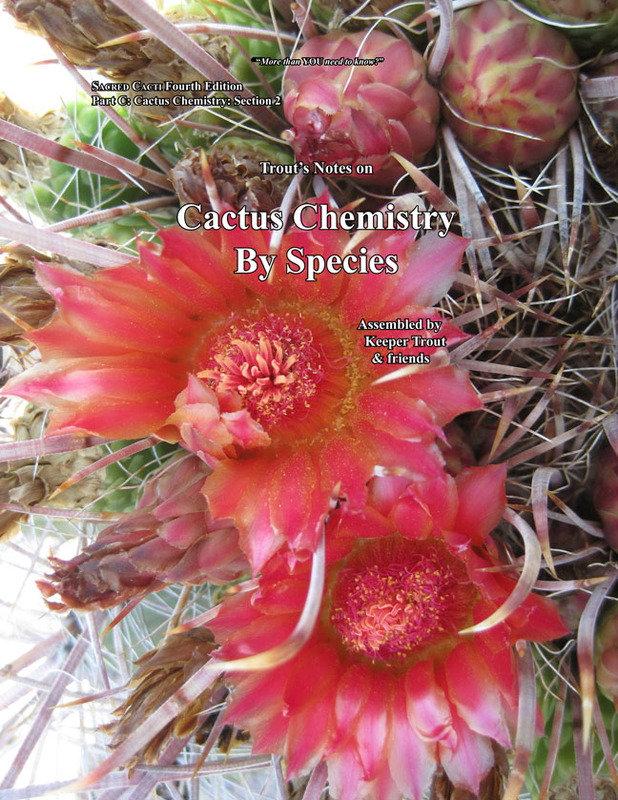 Several Elgaria species occur in this part of California. 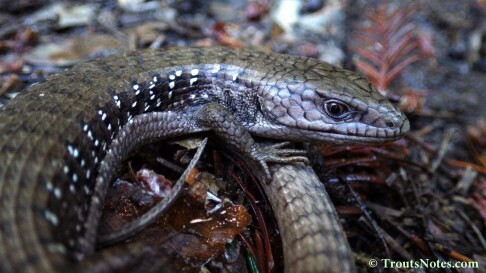 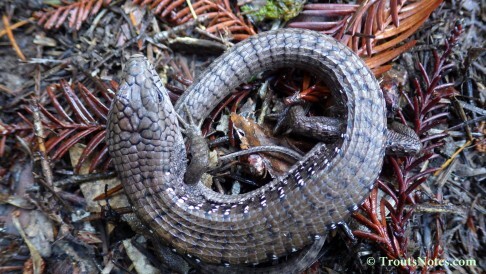 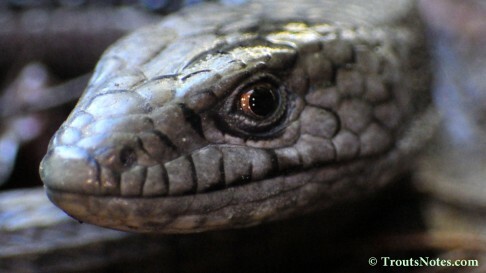 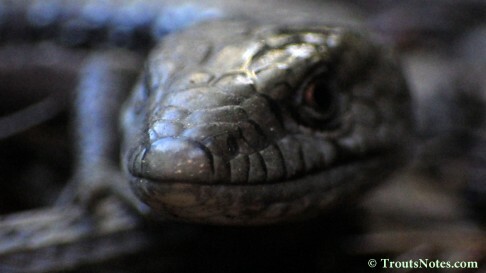 E. multicarinata (the California alligator lizard) is listed as occurring here but this immediate area is also known to be an intergrade zone between the Shasta alligator lizard and the San Francisco alligator lizard (both are subspecies of Elgaria coerulea). 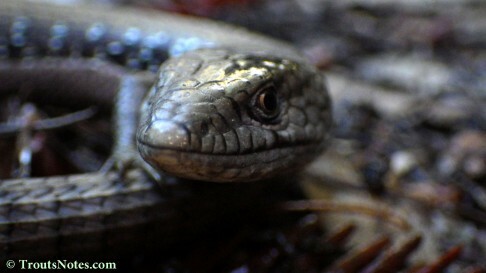 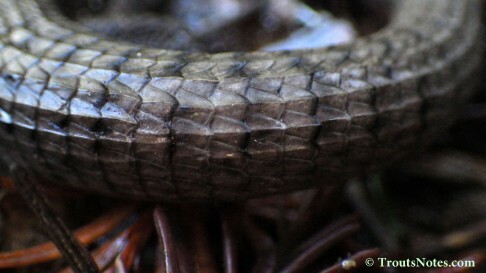 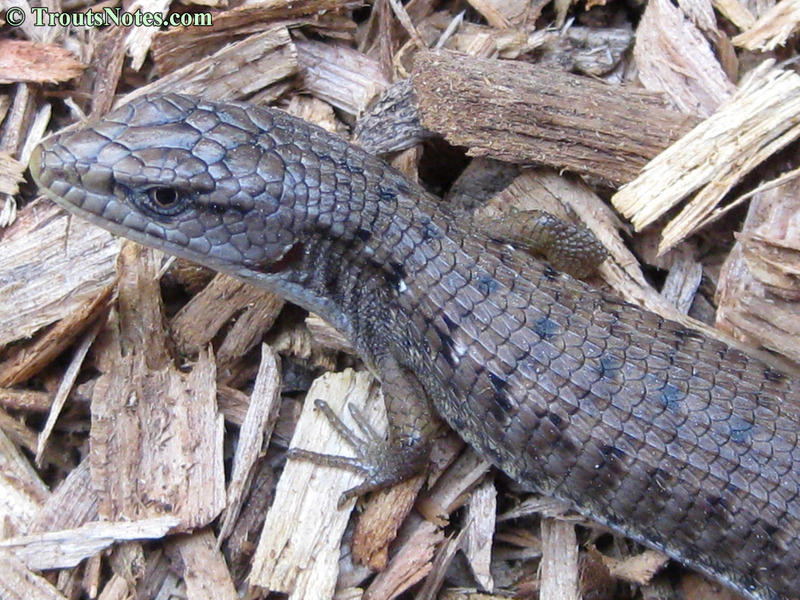 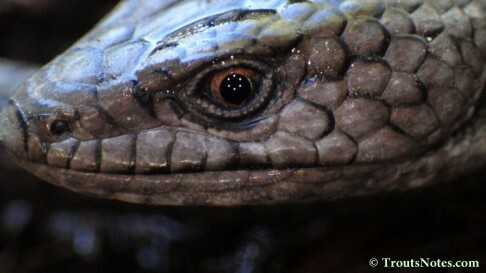 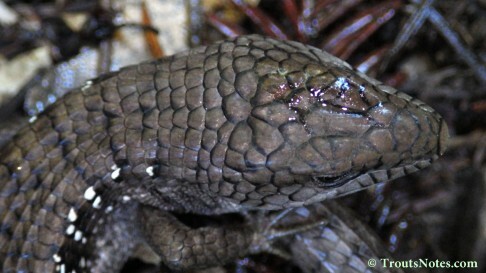 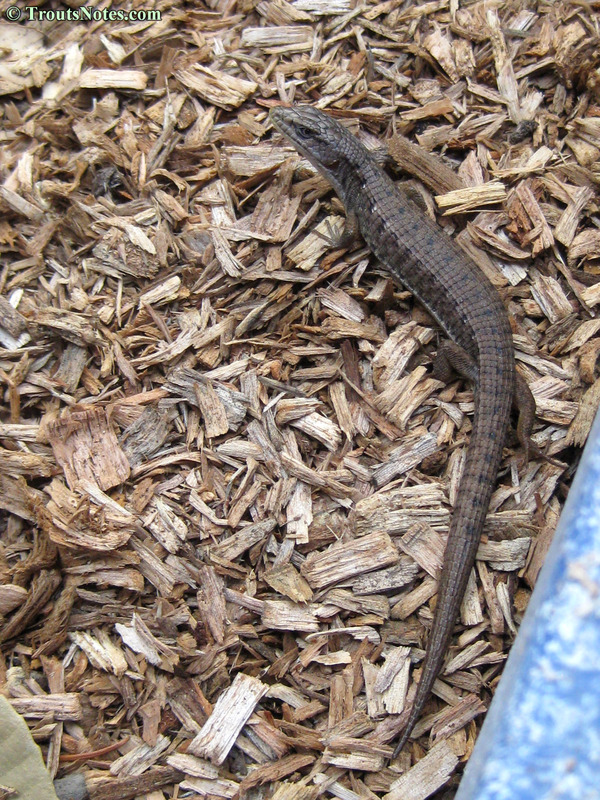 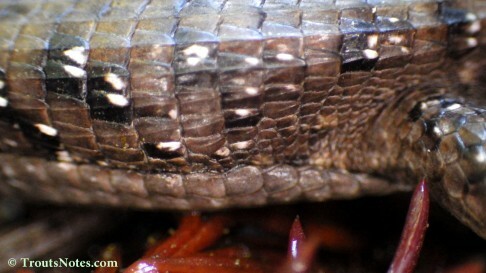 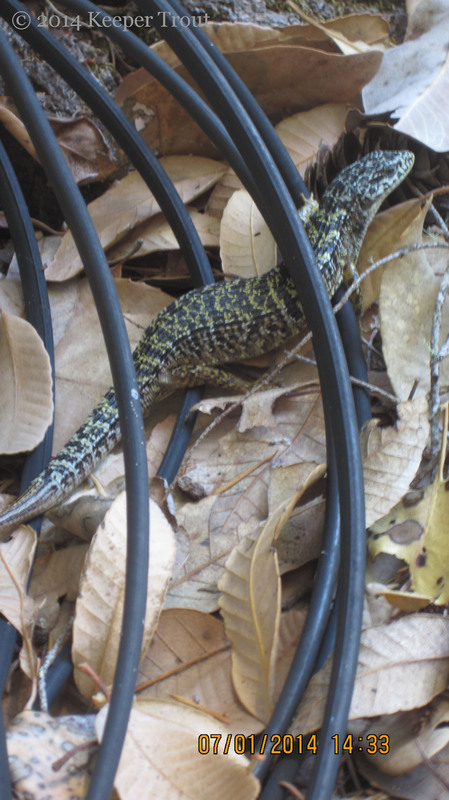 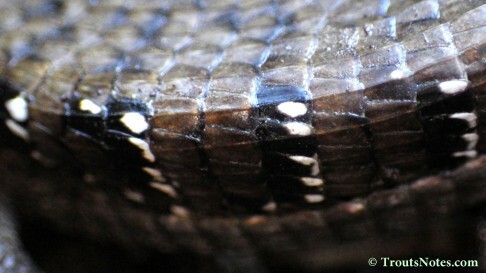 The male in the last photos below look a lot like the Shasta Alligator Lizard, Elgaria coerulea shastensis. 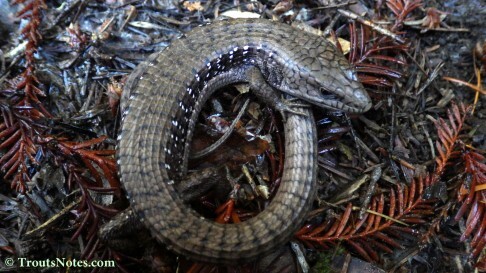 These animals are aggressive and will actually bite a person if adequately provoked. 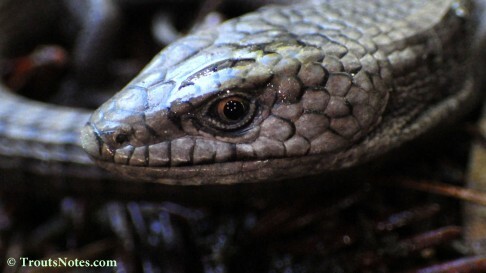 They are both quick and wary so have been difficult to photograph but a recent cold day slowed this small male down considerably.